THE PRICE OF VENGEANCE, in The Line of Duty. 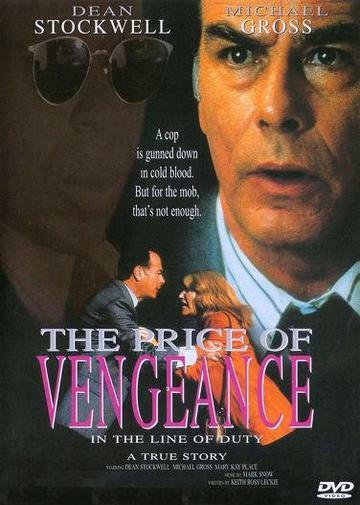 A police officers lays his life on the line, and unwittingly, the lives of his family to nail a sadistic young crime boss. Dean Stockwell & Michael Gross. A police officers lays his life on the line, and unwittingly, the lives of his family to nail a sadistic young crime boss in this hard hitting but moving drama based on a true story. Hollywood detective Tom Williams is hot on the trail of Johnny Moore, a self styled crime boss all will stoop to anything, robbery, intimidation, murder to assert control over his growing empire. When Williams manages to persuade one of Moore's terrified victims to testify against the mobster, the enraged Moore decides it is time to remove the cop who is becoming a thorn in his flesh. But Moore's target is not just Williams it is also the cops innocent wife and children.